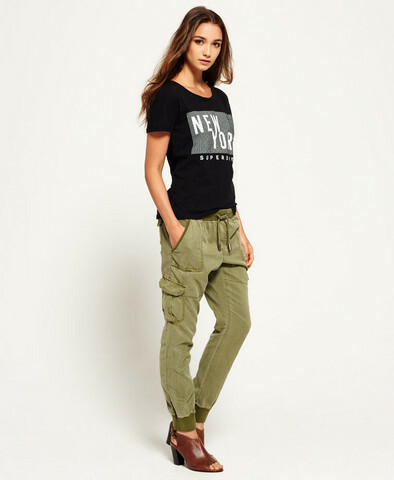 Superdry women’s Utility joggers. These loose fit cargo style joggers feature and elasticated waistband with drawstring waist, six pockets, ribbed elasticated cuffs. The Utility joggers are finished with Superdry branded toggles.